A spacious Duplex perfect for flexible family groups! 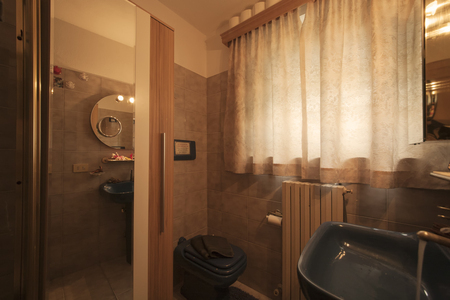 Boasting a great location close to a Wellness Centre, the cross country Ski ring, the water sports of Lake Livigno and the resort centre (10 minutes’ walk away), this spacious 3 bed Duplex places families in a fun and peaceful setting for discovering the best of Livigno! The modern exposed pine interior offers free WIFI access and a SAT TV, alongside a generous open plan Living area and a separate family Kitchen. Perfectly equipped for carefree meal-in, the spacious Kitchen lets you dine your day away; either to the charming breakfast area or to the open plan Dining area for 6. 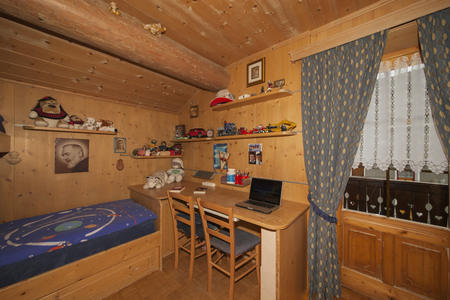 Families can also make the most of the flexible sleeping accommodation. The Master Bedroom offers a comfortable Double bed and balcony access, whilst the second bedroom offers 2 single beds. 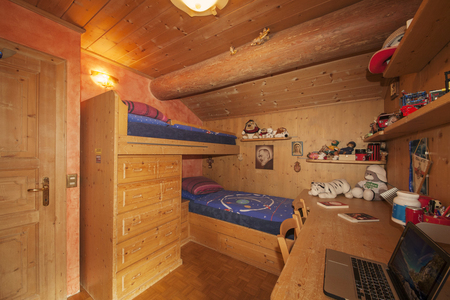 The third bedroom offers a set of child-friendly bunk beds and balcony access. 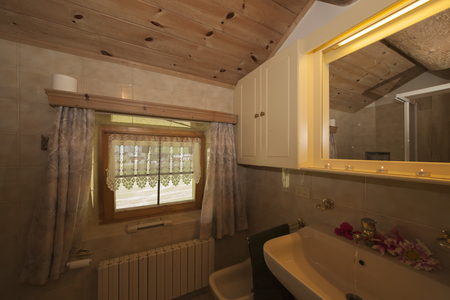 Two modern shower rooms, a washing machine and a ski storage room with ski boot heater complete the features of this cosy, child-friendly retreat. Outside a private parking space features to the 1st floor Duplex. Next door, guests can enjoy one complimentary trip each to the shared Wellness Centre too; for a truly indulgent holiday moment! 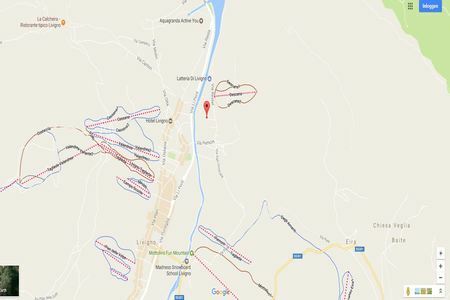 A bus stop is conveniently situated 50 metres away and guests are within easy reach of Livigno centre and the Ski cross country ring. 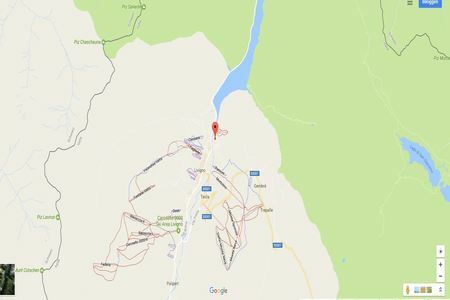 The local area also offers close proximity to the wind surfing and rowing opportunities of Livigno Lake, the tax-free shops, restaurants, spas, buzzing nightlife and family-friendly appeal of Livigno and also one of the best Snowboard Parks in all of Europe. The breath taking Nature Parks and Mottolino bike park are also on hand to offer a wide selection of outdoor pursuits to soak up, throughout the year. Open plan Living • An inviting Living space ideal for relaxed family fun and entertaining • Features a sofa with SAT TV and free WIFI access • Accompanied by a spacious Dining area for 6 Eating In • A separate family Kitchen • Fully-equipped with a cooker hob, microwave, toaster, electric kettle, coffee machine and dishwasher • Features a useful breakfast booth • Complemented by a Dining area to the Open Plan Living room Sleeping The generous layout and exposed pine interior provides a charming, restful ambience for year-round family stays and group getaways. Bedroom 1 • An inviting Master Bedroom with Double bed, chest of drawers, a TV and wardrobe • Offers balcony access Bedroom 2 • A flexible guest bedroom with 2 single beds and a desk Bedroom 3 • A charming child-friendly bedroom with a set of bunk beds, a desk and balcony access Bathing The spacious Duplex features two modern Bathrooms, each fitted with a power shower, washbasin, WC and bidet. Additional • Free WIFI access • SAT TV • Washing machine • Central Heating • Ski Boot storage and Ski boot heater • Private Balcony • Private parking space • Garden • Child-friendly • 16 internal steps • 20 external steps • Short distance from resort centre Guests will also each enjoy 1 complimentary entrance to the neighbouring shared wellness centre (after this first trip the standard rate is EU 10 per person). 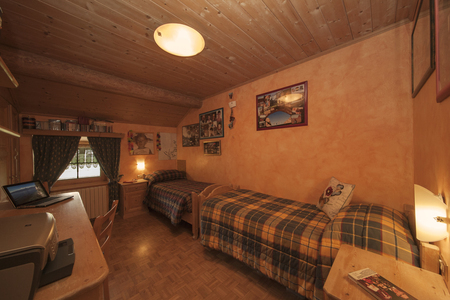 The spacious Duplex is one of just 5 apartments in the same chalet residence. Outside A private balcony features to the apartment, whilst outside a shared garden can be enjoyed. Parking 1 private parking space conveniently features with the apartment. 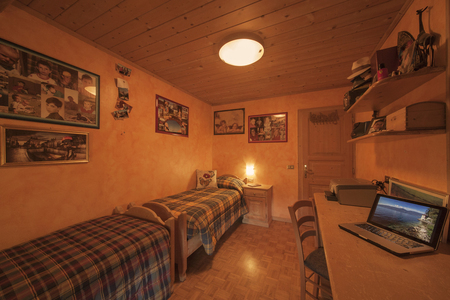 Location Situated along a peaceful secondary road, the home is within easy reach of a bus stop (50 metres), a shared Wellness Centre, the ski cross country ring, a local camping site and the nearby water sports on offer at the Lake Livigno reservoir. 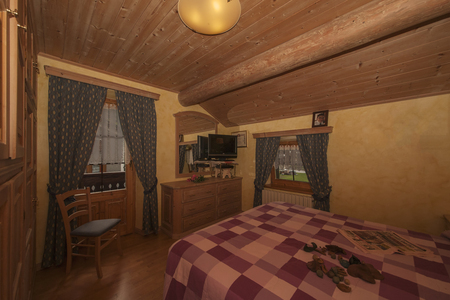 The well-serviced resort centre of Livigno is also just 10 minutes’ walk away. From tax-free shops, bars, restaurants, live music venues, wellness spas and gym classes to family-friendly activities and a full range of outdoor leisure pursuits to suit each season; Livigno has it all! Perfect for winter sport enthusiasts, Livigno is also home to one of the best Snowboard parks in Europe, as well as a superb Ski school and a fantastic range of Ski runs. From Snow Go-karting, ice skating, zip wiring and horse riding to hiking, mountain biking at Mottolino, tree-top climbing at Larix Park and soaking up the water sports on Livigno Lake; there really is as much to enjoy off the ski slopes as on them. So, for an action-packed Alps break, choose here! Livigno has a free shuttle bus service that drives you from the North to the South of the town stopping at every main ski-lift. 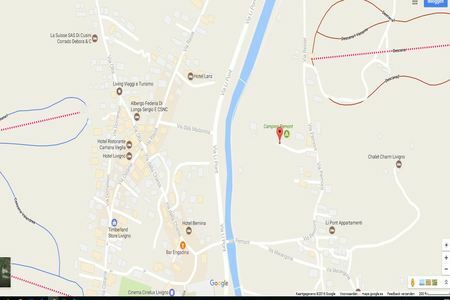 This service is available from 08:00 Am till 20:00 Pm.